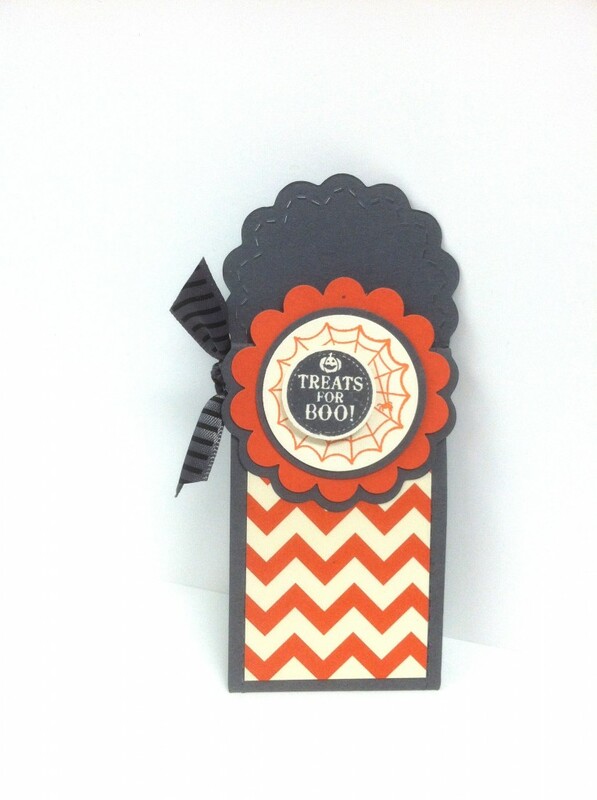 Today I’m showing you a Halloween version of the treat holder I showed you a few weeks ago as a part of the 12 Days of Christmas. It is made exactly the same way. I just changed up the colors and dsp to make it Halloween themed. I used the hostess set Mixed Medley, and I used Howlstooth and Scaringbone DSP.